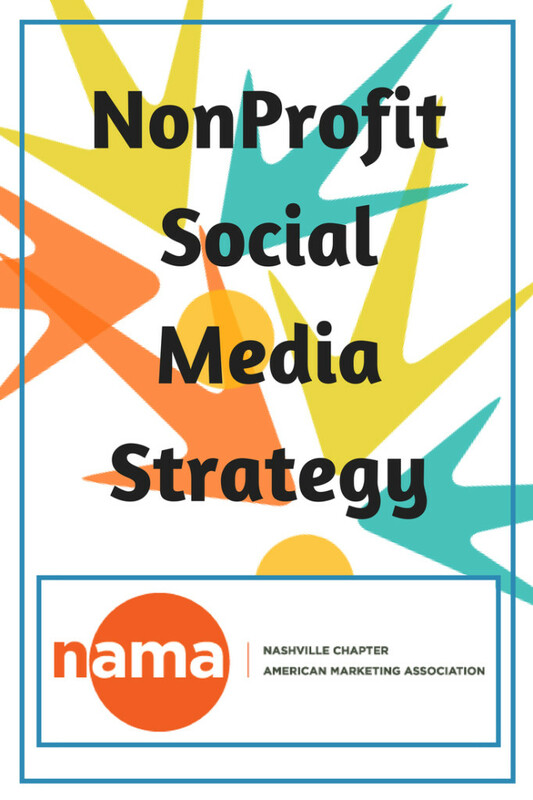 For Julie McReynolds, Social Media Manager for the Nashville chapter of the American Marketing Association (NAMA), maintaining a steady drumbeat of posts on social media networks can be quite a challenge. At any time, there are many diverse events, announcements, and initiatives going on which all require a marketing campaign to help get the word out about them. 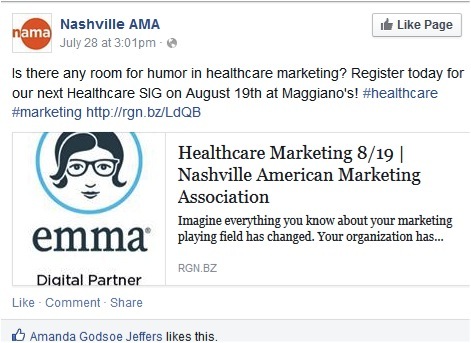 For example, their nonprofit social media strategy involves getting the word out about special interest group meetings (SIGs) such as the Healthcare SIG, new member mixers, and new job postings, all of which need some promotion. Managing ongoing campaigns on social media, each of which requires a series of posts across different social networks is a snap with the Rignite Campaigns module. A wizard takes you through the creation process for your campaign, and even schedules multiple posts over the campaign period for you. Here are some of the campaigns created in Rignite . These campaigns are all a simple “Series of Posts” type of campaign in Rignite, although there are more complex giveaways, contests, and coupon campaigns possible in Rignite. All of these campaigns typically have multiple Twitter posts each day and one Facebook post each day. Rignite makes it easy to alternate different posts and customize each one to test different messages and vary your content, not to mention avoid ‘duplicate post errors’ on Twitter. 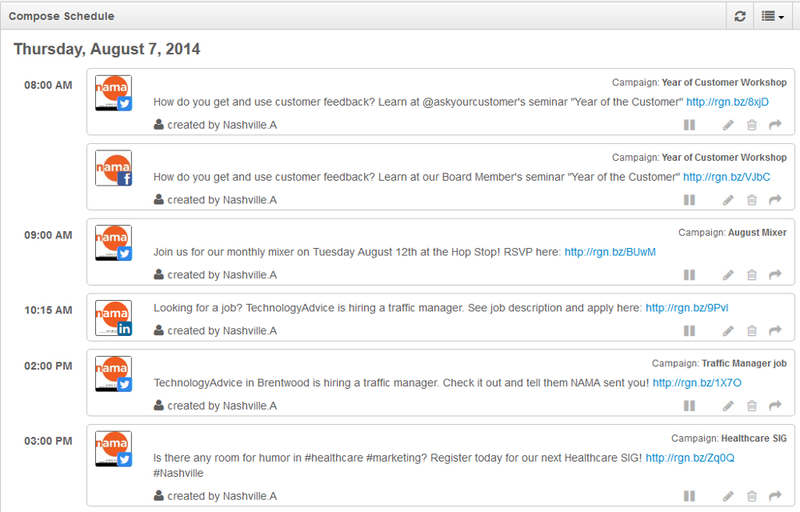 Rignite is a software solution that makes it easy to run and track campaigns on social media. Rignite offers special deals for nonprofits. 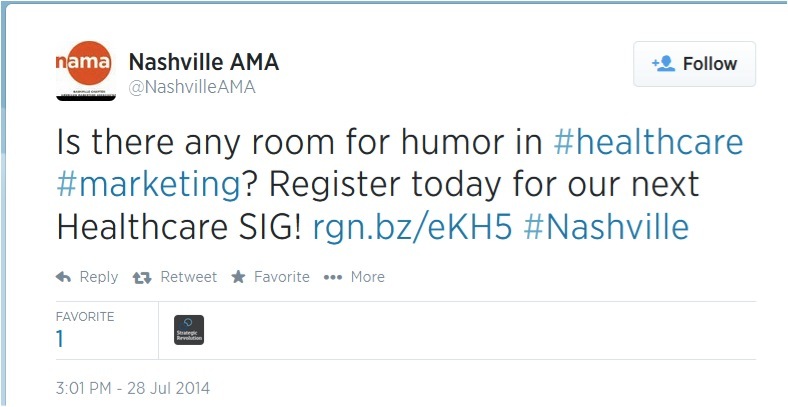 Here are two Twitter posts created for the Healthcare SIG campaign. These posts alternate daily over the campaign period. And here is the Facebook post in the campaign. NAMA is able to save time and keep its fans informed by creating multiple campaigns, each with a series of posts across social networks without the pain of manually scheduling posts. The snapshot below shows a typical day’s schedule of posts, with content from different campaigns as well as scheduled for multiple social networks. It’s easy to maintain a full schedule of posts as well as to edit or reschedule posts using Rignite’s Schedule module. Now that campaigns are running, it’s also easy to see which campaigns are getting more reach or impressions in the Rignite Dashboard for campaigns. Getting the word out on social media is critical for any organization, but it’s especially important for a nonprofit social media strategy. And for non-profit organizations, Rignite saves precious time and precious funds with special discounts for non-profits. 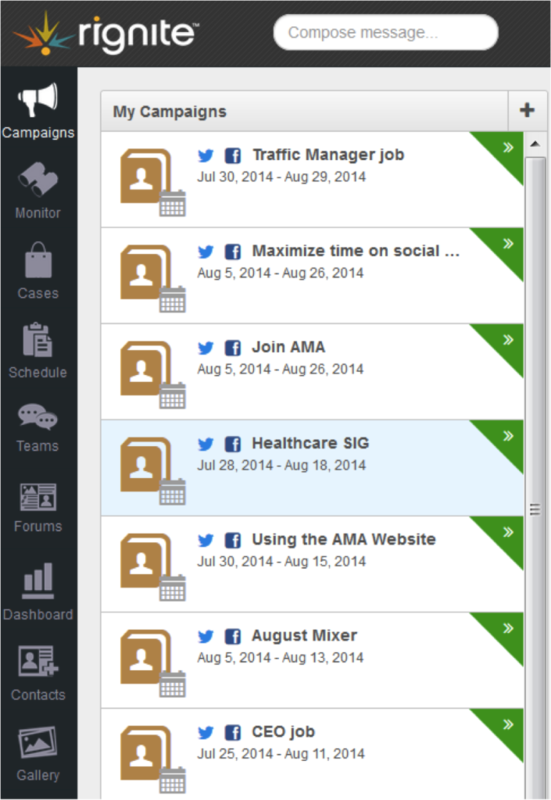 Rignite is a software solution that makes it easy to manage social media.